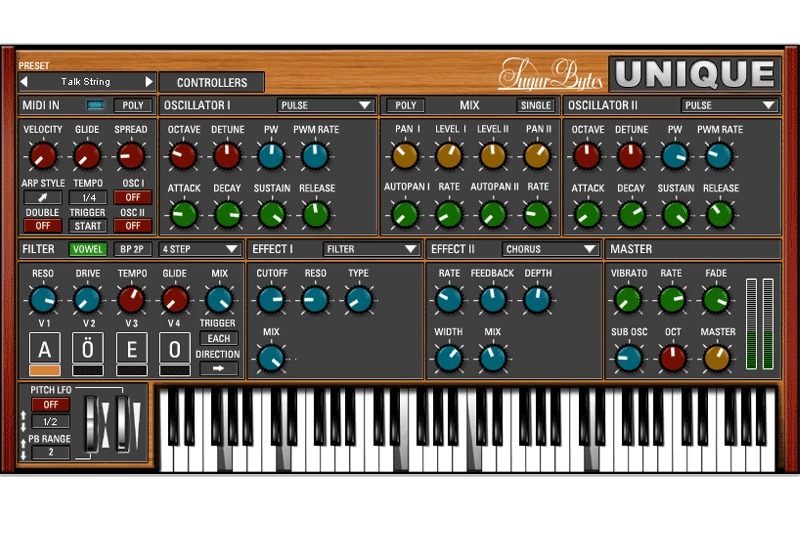 Unique, Other Virtual Synth from Sugar Bytes. 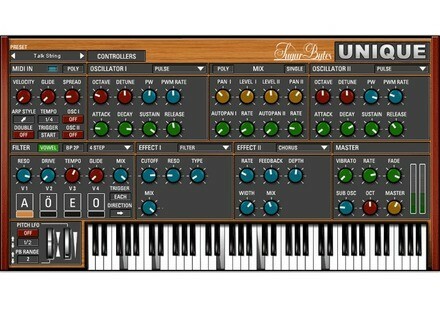 Sugar Bytes Unique was a vst synth that I purchased over a year ago for around 200 to 250 dollars. At first I though that was too much to pay because they didn’t have a demo online to download available and I was worried about paying that amount of money and not feeling satisfied with what I purchased. The only reason that I purchased it is because they had a demo video online just showing some of the features and sounds that it offers. After I watched the video once I knew for a fact that I would end up getting it. It did take me some time to fish out the 250 though, I didn’t purchase it right away. Using this at first cause some problems on my 64 bit computer, it actually caused a lot of problems. I emailed them about the problems several times and they kept saying they would release an update, so finally they did and it worked great after that. I had to use it on my windows XP system in order to use it without it crashing on me. Sugar bytes Unique does have a Unique sound and with all of the effects that you can get and the ability to control the sounds with the basic XY field like some of the other synths used to have makes everything better. They have took some old techniques that you use to be on older VST’s and reinvented it to keep it current. But there is no doubt, that my favorite thing about Unique are the sounds. The sounds are amazing and they are some of the best that I have heard in a vst in a long time. You can build your own sound and be very different with Unique. You will have to have at least 256 MB of ram in order to use it though. It does use a lot of CPU. But you can use it on almost any system now that they have updated it. Or you can use it stand alone. mooseherman's review"My New Favorite Virtual Synth!" 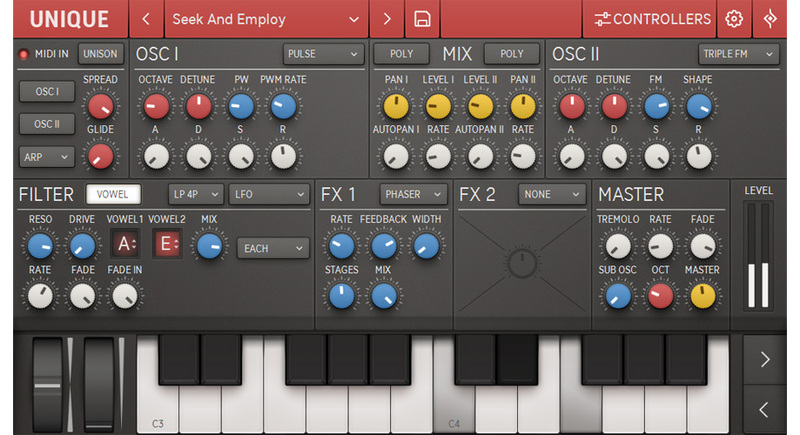 This is a really nice virtual synth plug-in. It is basically an analog synth emulator. It has great oscillators and phase shifters on it, and can really get some wacky, awesome sounds. I didn't have any issues getting it set up in Logic. In fact, I found that after I installed it, it had no compatibility issues or anything like that. The sounds also work really well, which is to be expected nowadays. The setup took me no time at all and in less than an hour I was already getting comfortable with it. I basically had to play around with all the settings and look a little bit at the manual to get a feel for it, but it didn't take me long as it's a pretty intuitive synth. I've had no issues with my Logic 9 software when using the Unique synth. It works really well with my MIDI controller too. I'd say the performance is as good as my Logic/MIDI controller combo ever is (which means that occasionally it slows down but for the most part is fine.) I've only recently got it but I love it. This synth is perfect for anybody who loves Daft Punk, or other electro stuff that has the warm, semi-distorted tones going. Also great for 80s funk lovers looking to recreate that kind of synth sound. I haven't really found many virtual synths quite like this one, hence the name "Unique". While I've heard some of the sounds before in some of my favorite records, I hadn't really seen them on many of the cookie-cutter synths I see a lot. It also helps that it uses "vowel filters" and other such names to make the sounds you want easy to identify. In fact the filters and oscillators are really the biggest draw here. Since I'm not a huge expert on all the different kinds of synths that are out there, I often get frustrated when I hear really "techno-y", smooth, lush sounding synths, and not the ones like this that are really powerful, warm, and sometimes harsh. This is really a fine piece of work. No, there were no compatibility issues with this plugin and my Macbook running Logic 9 and Ableton 7. I browsed the manual once before I installed it, but there is no real need to look at it. That is, if you are familiar with the operations of a synthesizer. If not, then it will definitely help you out and does a good job of being clear and helpful. In the sense of virtual synth interfaces, this is simple enough. All the main parameters are right in front of you. The effects are easy to access and easy to tweak. Yes the typical functions are easily accessed. Yes, the software works great in Logic and Ableton. It is stable and there has been no problem with sound at all. It also reacts very well with all of my midi controllers. I have used this live many times with out any problems. I give it a 10 out of 10 for performance. I have had this plugin for about a year or so. What I like about this synth is it lives up to its name. It pretty unique sounding. I find it works the best with electronica style music. It fairly harsh at times but thats what I like. It also has some great presets to start you off and all the parameters being right in front of you makes for some easy tweaking. I am pretty satisfied with this plugin, I can't think of anything negative worth writing. Good sounds and easy control. The sound coming out of this little guy is pretty big. I love using it with a little distortion to get some real in your face leads. It also has some pretty mellow sounding pad sounds in it to when you need them. Its certainly not my favorite synth out of my collection, but its up there and makes into a lot of mixes and live shows. Yes I have played a bunch of different virtual synths. When I heard this one though, I decided quickly to buy it. I would definitely make the same choice again. Its a great synth for the price. - Installation is it done without problem? No problem: launch the installer without forgetting dsigner the right directory for VST plug-ins when asked. - Have you encountered the incompatibilits? - What performance? (If quantifiable) Very good comsomme all the same a lot of resources. The + The originality of the sonorits, we quickly saturs of sounds, dirty, dissonant and very expressive limits once. It's pretty ... rock'n'roll! It is of course create other sounds, it's pretty varied the "lean" the very, very fat and heavy, but no sounds "GPs" obviously. This gives a very expressive game playing on DIFFERENT rglages "midi" (vlocit glide ...), pitch and modulation (I rgle with my touchpad Korg padKONTROL, the other hand on the keyboard, a joy), filters, etc. Do not hesitate to test the VOWEL key (variant: a, e, u, i, o has not casually described as a but sometimes it's amazing), the arpgiateur and all rglages while playing, we can draw ... monstrous sounds and modulations dlirantes! 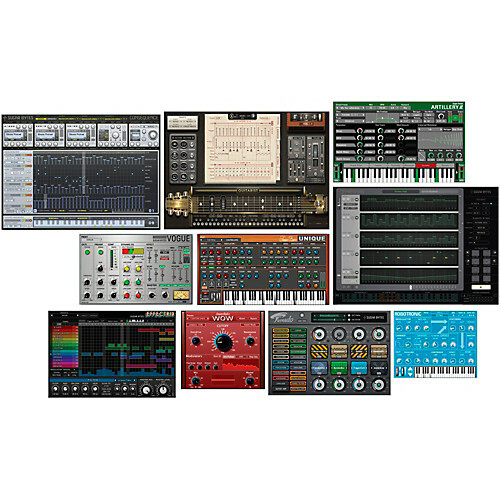 I tried many VST, but I have rarely had the pleasure of immdiat game, as perhaps the PlastiCZ, OP-X SonicProjects or even the Synth1, I believe it's of sound and ease of use. But I think these are the most gaming instruments of expression to program loops electro ... Though! Despite the apparent simplicity NB modulation possibilities are numerous: see droulants menus and right click on any button! I wanted to leave a review, although not a large hyper n'tant express musician I sometimes find it a shame not to see reviews of the instruments that I find patants. - How do you report qualitprix? It's going it's only a demo (limit 30 min. To use but everything oprationnelle)! 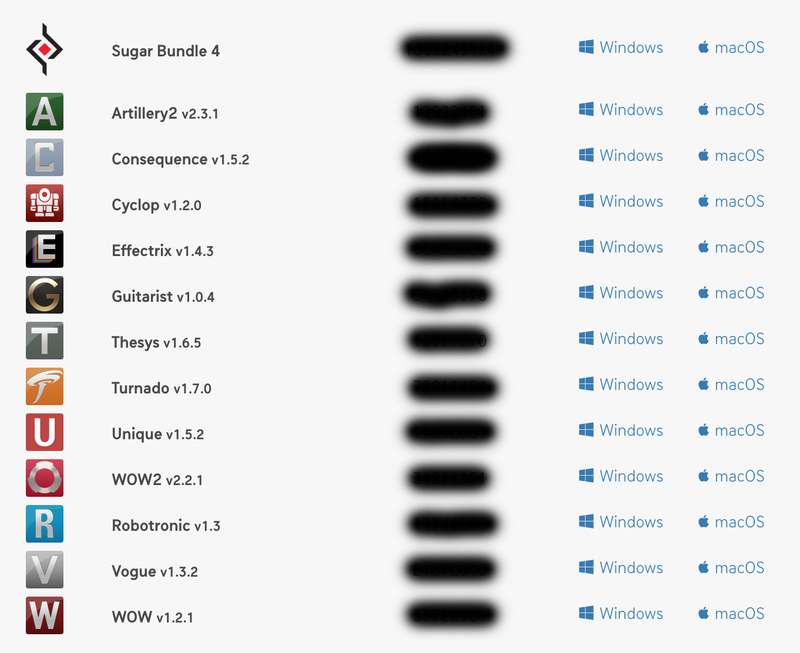 Sugar Bytes has released updates for Guitarist (v1.0.2) and Unique (v1.2).